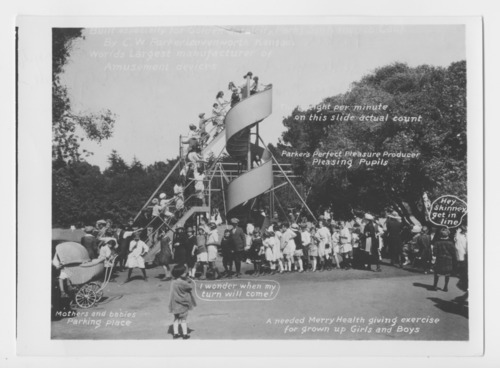 This black and white photograph shows children surrounding the spiral slide at the Golden Gate City Park, in San Francisco, California. The C.W. Parker Amusement Company from Leavenworth, Kansas, built the playground equipment for the facility. Text on the photo claims that the Parker company is the "world's largest manufacturer of amusement devices."